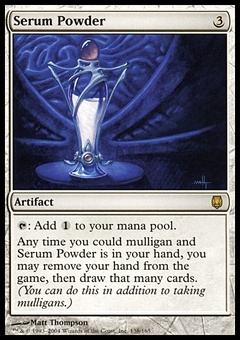 Angelic Captain ($0.09) Price History from major stores - Battle for Zendikar - MTGPrice.com Values for Ebay, Amazon and hobby stores! 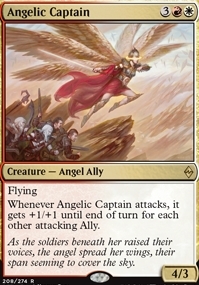 Card Text: Flying Whenever Angelic Captain attacks, it gets +1/+1 until end of turn for each other attacking Ally. 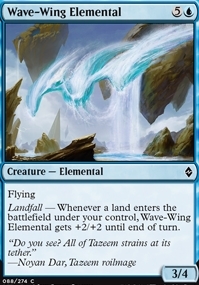 Flavor Text: As the soldiers beneath her raised their voices, the angel spread her wings, their span seeming to cover the sky.